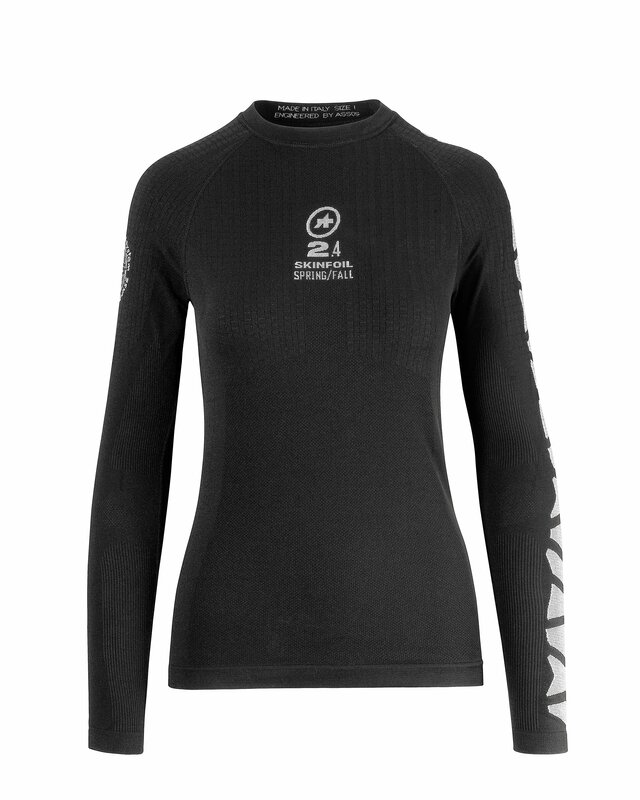 Base layers play a crucial role in keeping you warm during cold weather riding and the Assos Skinfoil Spring/Fall S7 L. Sleeve is designed to be the ultimate first layer of protection under your bibs and jersey. 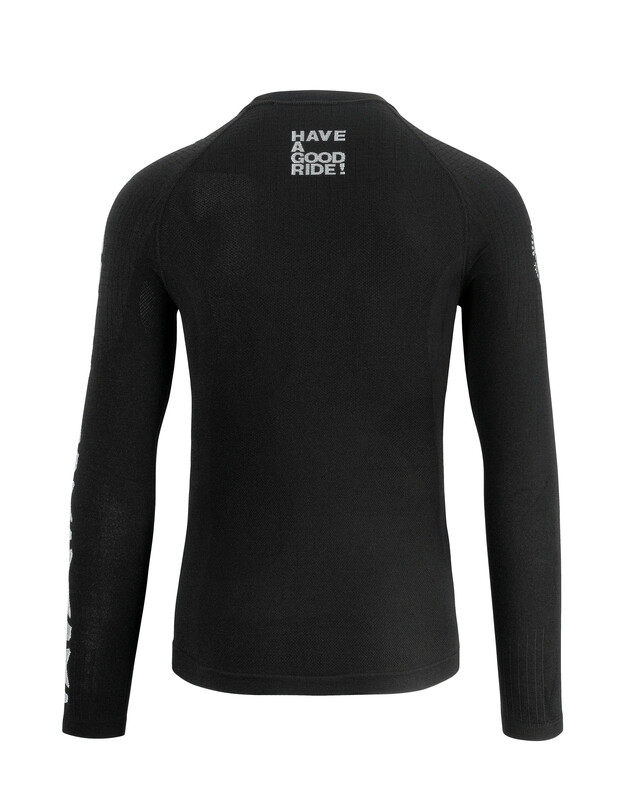 It’s a breathable base layer that’s ideal for riding in cool transitioning weather in Spring and Fall and offers a specific blend of moisture-wicking yarn and a short-sleeved design that lends it elevated warm-weather riding credentials while looking sharp under your jersey. 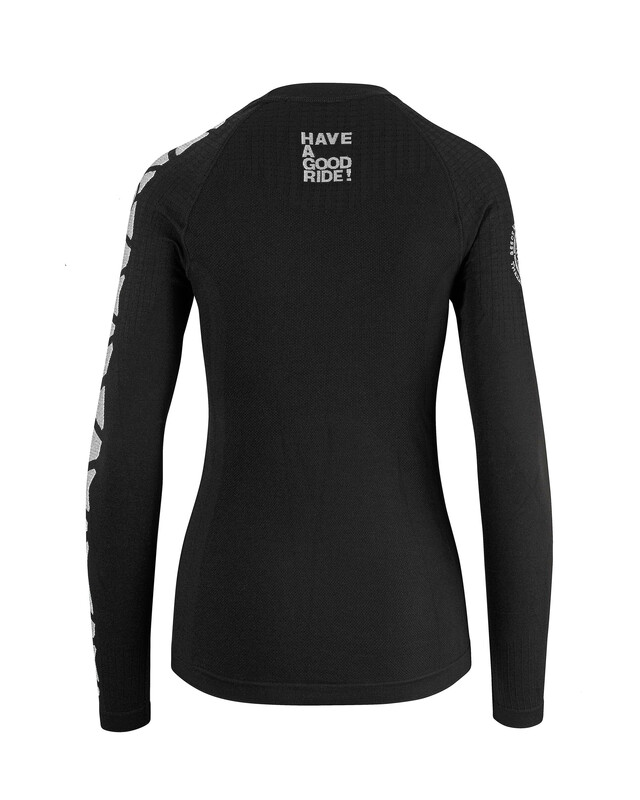 The Assos Skinfoil Spring/Fall S7 base layer epitomizes Assos’ dedication to outfitting your entire cycling wardrobe for year-round riding and offers comfort and performance through a meticulously constructed blend of yarns and strategic body compression. Spring/fall textured yarn: Reduced volume and meticulously calibrated insulating effect. 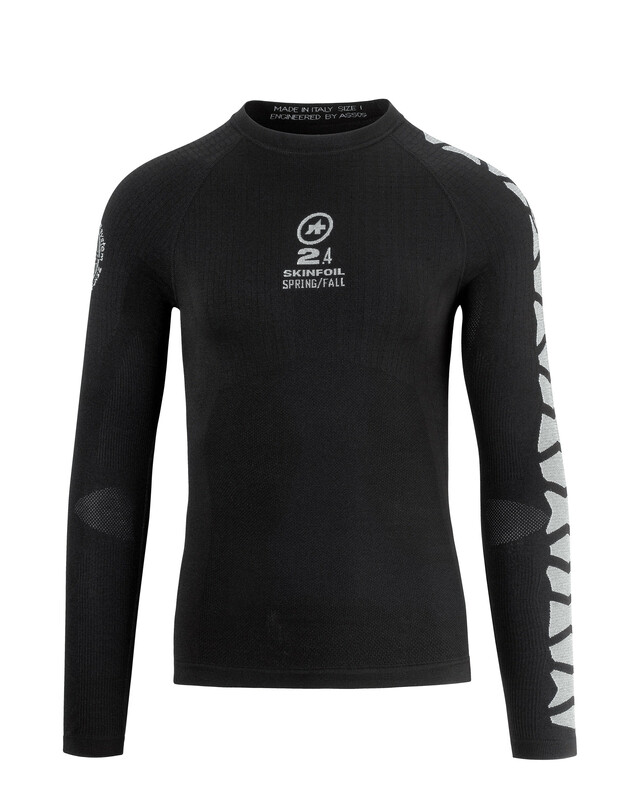 Open mesh: Actively transfers sweat to outer layers.